Sometimes it's so easy to focus on the big successes and how far you still have to go. Of course we all have our big goals, but how many of those big goals are can be accomplished in a one-and-done type situation? Not many. 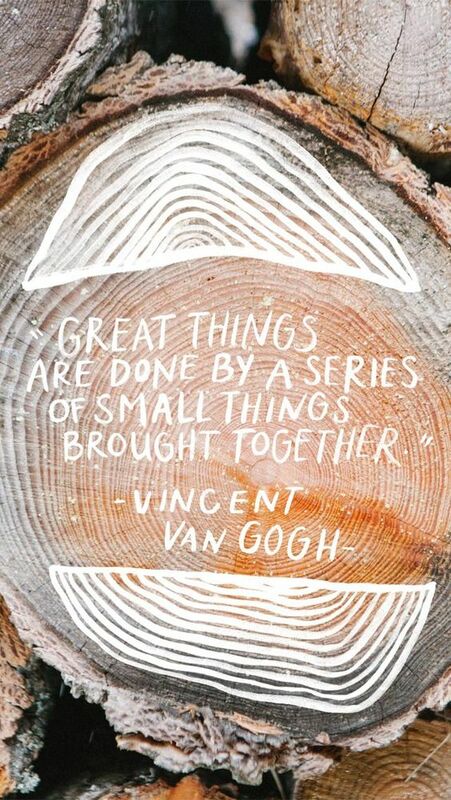 So focus on the little accomplishments because without them you'll never realize the big one. This is excellent Monday motivational advice. Reaching modest goals and crossing them off your master list, builds confidence and self esteem, gives you momentum and propels you forward. Small achievements are the building blocks of major success.